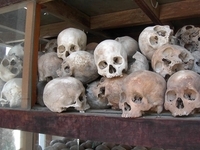 [2011 Sept] French Revolution's Hidden Depopulation Agenda by Andrew Smith "Pol Pot's regime is surprisingly similar to the French Revolution, 200 years before. Both revolutions began in the French capitol of Paris. Both revolutions conducted deadly purges, resulting in the death of many. Also, when they took over, both Pol Pot and the French declared, 'This is the year zero.' They both made their own 10 day calendar and rejected the thought of any God. Both revolutions were curtailed within a decade." And both were financed by the Illuminati Bankers. "The most important single ingredient in the rise of the Khmer Rouge was provided by Kissinger and Nixon, through their systematic campaign of terror-bombing against Cambodian territory during 1973. This was called Arclight, and began shortly after the January 1973 Paris Accords on Vietnam. With the pretext of halting a Khmer Rouge attack on Phnom Penh, U.S. forces carried out 79,959 officially confirmed sorties with B-52 and F-111 bombers against targets inside Cambodia, dropping 539,129 tons of explosives. Many of these bombs fell upon the most densely populated sections of Cambodia, including the countryside around Phnom Penh. 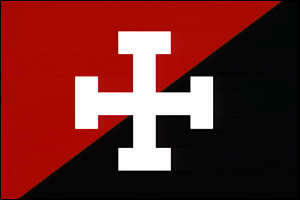 The number of deaths caused by this genocidal campaign has been estimated at between 30,000 and 500,000. Accounts of the devastating impact of this mass terror-bombing leave no doubt that it shattered most of what remained of Cambodian society and provided ideal preconditions for the further expansion of the Khmer Rouge insurgency, in much the same way that the catastrophe of World War I weakened European society so as to open the door for the mass irrationalist movements of fascism and Bolshevism." On the Side of Pol Pot: U.S. Supports Khmer Rouge by Jack Colhoun For the last eleven years the United States government, in a covert operation born of cynicism and hypocrisy, has collaborated with the genocidal Khmer Rouge in Cambodia. More specifically, Washington has covertly aided and abetted the Pol Potists' guerrilla war to overthrow the Vietnamese backed government of Prime Minister Hun Sen, which replaced the Khmer Rouge regime. What is remarkable about the U.S. coverage of his death is the omission of U.S. complicity in his rise to power, a complicity that sustained him for almost two decades. For the truth is that Pol Pot and the Khmer Rouge would be historical nonentities-and a great many people would be alive today- had Washington not helped bring them to power and the governments of the United States, Britain, China and Thailand not supported them, armed them, sustained them and restored them. "In its facilities, the city of the future will resemble the city of the Middle Ages...and he who is not condemned to live in a city because of his occupation, will go to the countryside. Our civilization is a culture of the major cities; therefore it is a marsh plant, born by degenerated, sickly and decadent people, who have voluntarily, or involuntarily, ended up in this dead-end street of life." Isn't that very close to what "AnkarWat" gave as "his" reasons for depopulating Phnom Penh?